An officer in the military, particularly during the medieval and renaissance days, might own two sets of armor. One was worn during battle, and the other was more akin to this Napoleonic Soldiers Parade Cuirass - ornate and appealing in its detail. In essence, parade armor was the formal military dress uniform, which was worn during celebrations and public appearances, when even a soldier or officer wanted to look their best. 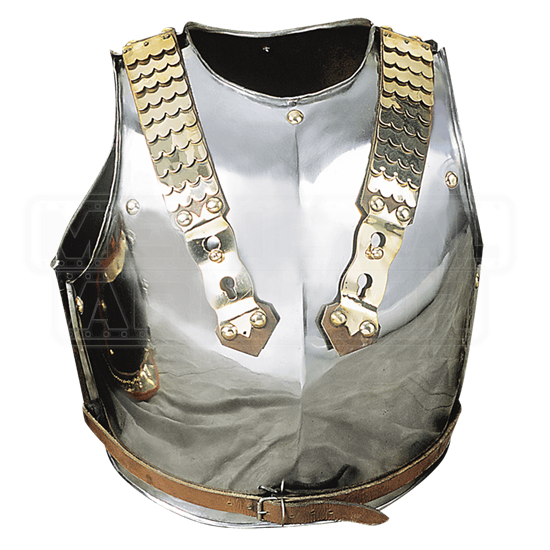 This cuirass is crafted entirely from 18 gauge mild steel and features a mirror-polished finish, as well as shoulder-piece accents that depict rows of layered brass scales. 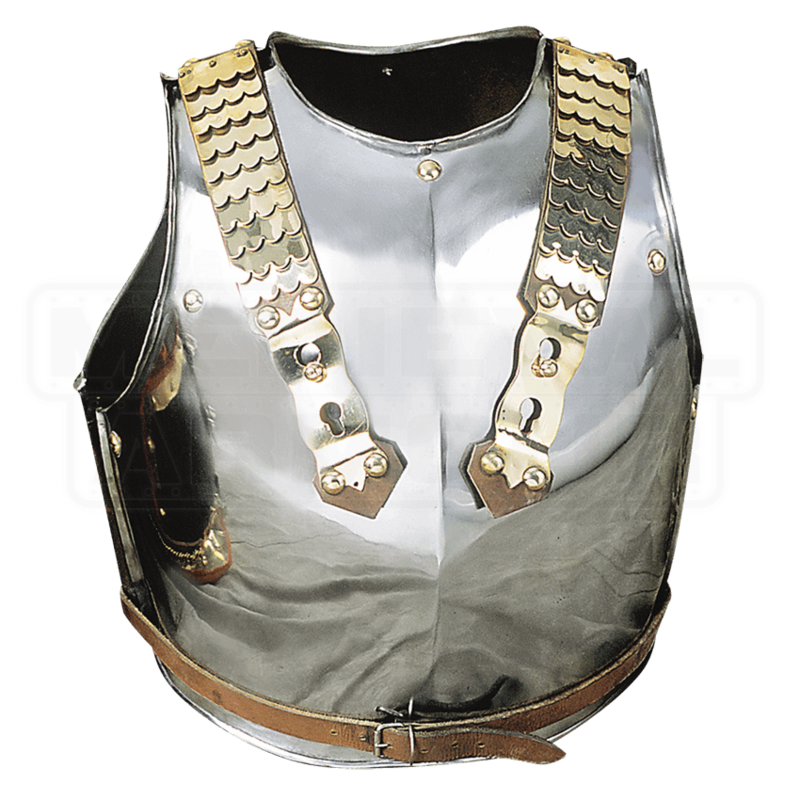 The breastplate is slightly convex in the front, which allows for padding and a gambeson to be easily worn within, allowing for a much more comfortable fit, while a leather belt with buckle wraps around the waist, to help keep the armor secured around the core. 18 gauge construction makes this armor perfect for costuming and casual wearing, as well as a possible armor for LARPing or light stage combat. Based on the armor of Napoleon Bonapartes own troops, this Napoleonic Soldiers Parade Cuirass is a fine choice to wear for a variety of situations, and its detail is such that the wearer of this armor is bound to make an impression.